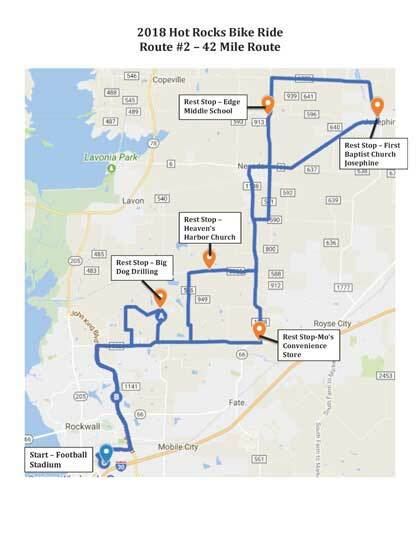 The 42 mile route begins and ends with 6 miles of mostly lightly traveled 4 lane road with a light grade, followed by increasingly rural mostly 2 lane roads in Rockwall and Collin Counties. There will be light traffic in Rockwall County, but the middle 20 miles of the route takes place in Collin County with generally very light traffic. The course is primarily flat, with several areas of modest grade.